In August 2016, 40 per cent of the residents of Havelock North were suddenly struck down by a serious bacterial infection. The outbreak of campylobacter, caused by the contamination of the water supply with sheep faeces, hospitalised forty-five people and left at least three dead. 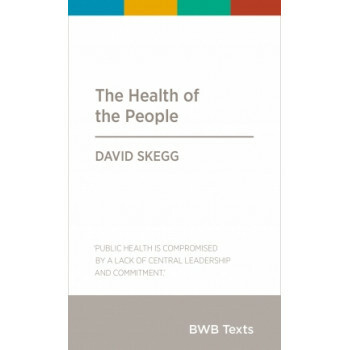 Eminent public health researcher David Skegg argues that the Havelock North campylobacter outbreak was not a random event. Instead, it highlights fundamental weaknesses in our country's health infrastructure. To prevent future public health disasters, he explains, New Zealand must invest in society-wide public health. There also needs to be political will to counteract the forces that damage health. Personal health care is important, but we neglect public health at our peril.